5 Star (Healthy) Bruschetta that will leave you wishing you didn’t just eat the last bite! Ever feel like you’re running on empty? Whether energy is low, stress is high or life is simply busy, there is something you can do about it to increase your energy during those times. The secret? The food you are putting into your body. Food is more than necessary calories to keep you alive or the comfort often reached for when emotions are elevated. In fact, when used wisely, you’ll find it’s the missing link that can keep you running even during the most exhausting days. Before we dive into how food can take away more than just hunger, let me first say, I get it. 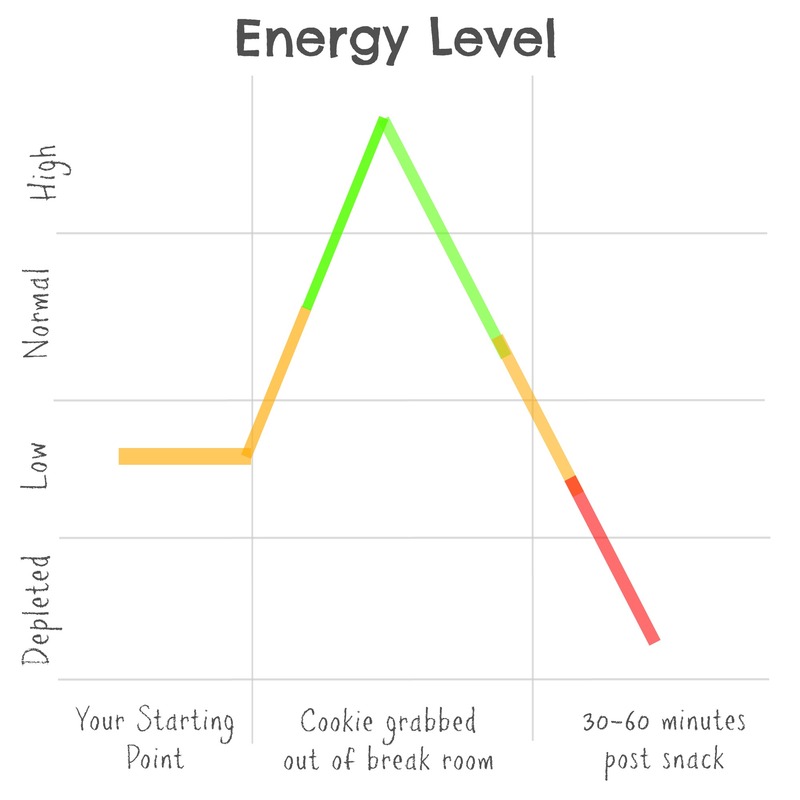 That mid afternoon crash is very real and when you’re about to fall asleep standing up, it can be much more tempting to grab the delicious, easy to access snack to compensate for lack of energy and/or sleep, instead of slowing down and taking time to pay attention to what is going into your body. The only problem with that? You’re going to be dragging even more than before you ate what temporarily satisfied in about 30-60 minutes. Why? Most foods that are processed or contain a lot of sugar, are higher on the Glycemic Index (GI) Scale. Putting these types of foods into our bodies is similar to putting sand into the gas tank of our car and expecting it to run. It doesn’t happen. What the heck is GI? The GI directly relates to the effect foods have on blood sugar. Our bodies like to keep our blood sugar levels consistent throughout the day so that we can function effectively. Think about if you were standing out in the cold, freezing, and someone came by with a warm drink. You grabbed the drink and for moment it helped. The long term effect? You were cold again because the drink only stayed warm for so long. If fact, you are now feeling even cooler after experiencing a temporary warmth. When you eat foods that are not so good for you, it shoots that blood sugar up, and provides you with temporary energy. Which is, well, temporary. After the short term effect wears off, you are now more tired as blood sugar levels suddenly plumant. What does all this fancy talk mean? There is no better time than today. 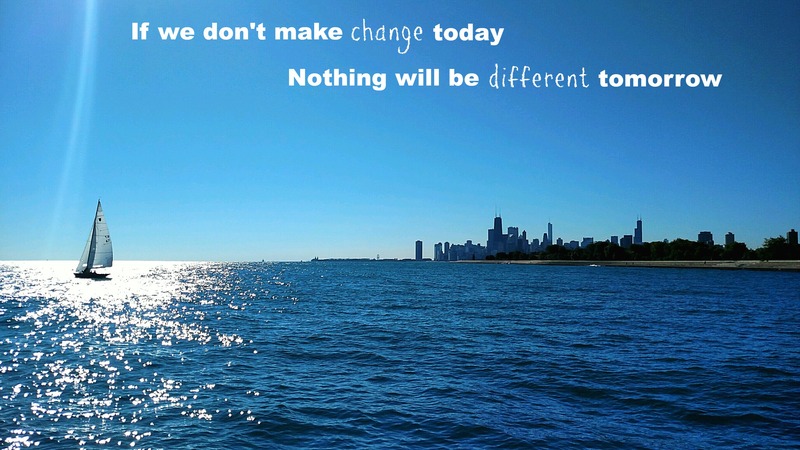 If we don’t make a change today, nothing will be different tomorrow. Plan out what your go-to snacks will be before letting exhaustion make the decision for you. Try this simple, satisfying trail mix or check out smart snacking on the go to help get your list started. your good advise. Looking forward to following your blog. Keep up the good work.